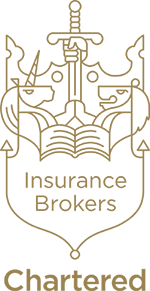 We are a long established firm of independent insurance brokers based in the heart of Sandbach and providing a high quality and cost effective service in the arrangement of both personal insurance and business insurance. Our professional team of brokers, based in Sandbach office, will provide you with a fast and efficient response to your insurance enquiries and offer you a range of quotes from our panel of leading insurers providing you with all the information you need to make an informed choice. Whilst we provide a highly cost efficient on-line quote and buy service for our range of leading products, we also welcome your personal enquiries at our office on Congleton Road where someone will be pleased to help you whether it be for your personal or business insurance needs. We have been at 6 Congleton Road in Sandbach for over 25 years, in fact the predecessor business was a the the same location for some 10 years prior to that. Over the years we have built our business to have a more national appeal by making use of the internet and constantly developing our products to ensure that we provide a highly efficient and cost effective service to our clients. We pride ourselves on our success in recruiting locally and maintaining a low staff turnover with many of our senior staff having been with us since they left school. It is this commitment to our business and also our team that has allowed us to continue our business successfully on both an local and a national basis.